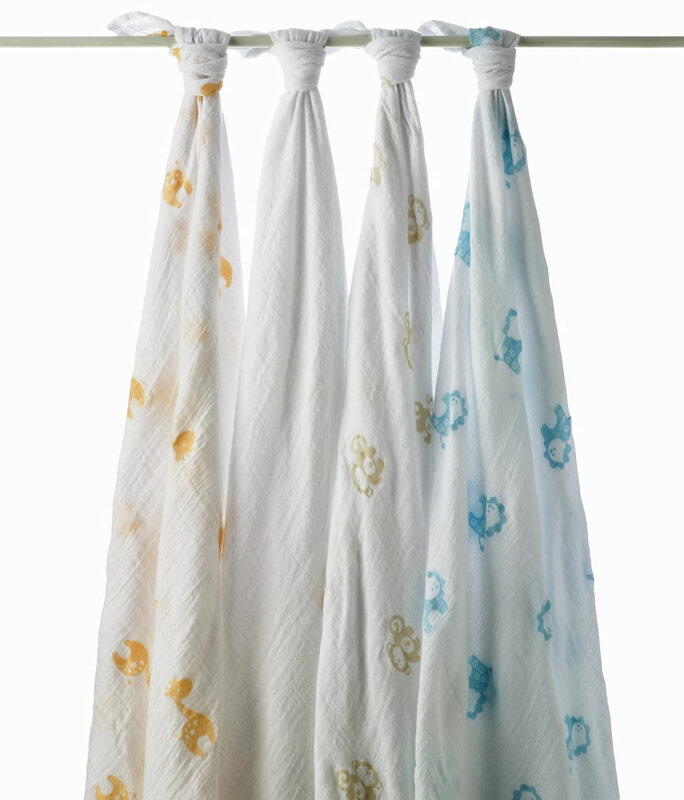 The Aden and Anais SwaddlePlus Wraps 4-Pack are great for swaddling your baby and more. 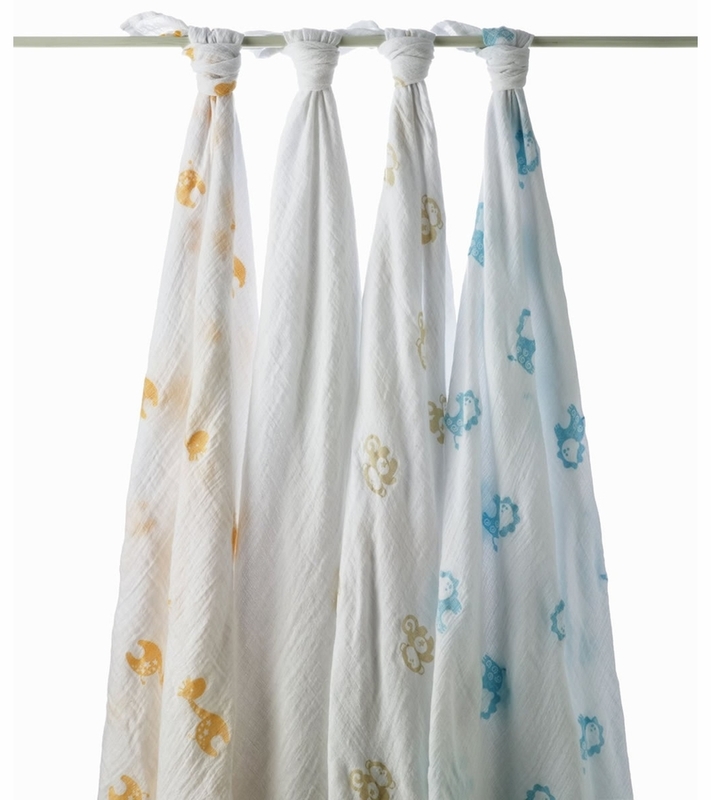 These cotton muslin wraps are soft to the touch and gentle on your baby�s skin, making them a perfect material for your little one to be wrapped in. A breathable design helps prevent overheating, and the generous size of the wraps ensures that they will easily cover your little one. These multi-purpose wraps can be used as a stroller cover, a nursing cover, a burp cloth and more, so you can use them in any situation. The wraps are entirely machine washable, making it easy to keep them clean after use.